The current feature at the Page 99 Test: Marion Nestle's Pet Food Politics: The Chihuahua in the Coal Mine. 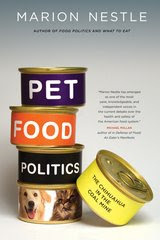 The Page 99 Test: Pet Food Politics. The current feature at the Page 69 Test: Kim Barnes' A Country Called Home. With her acclaimed memoir In the Wilderness Kim Barnes brought us to the great forests of Idaho, where geography and isolation shape love and family. Now, in her luminous new novel, she returns to this territory, offering a powerful tale of hope and idealism, faith and madness. It is 1960 when Thomas Deracotte and his pregnant wife, Helen, abandon a guaranteed future in upper-crust Connecticut and take off for a utopian adventure in the Idaho wilderness. They buy a farm sight unseen and find the buildings collapsed, the fields in ruins. But they have a tent, a river full of fish, and acres overgrown with edible berries and dandelion greens. Helen learns to make coffee over a fire as they set about rebuilding the house. Though Thomas discovers he can’t wield a hammer or an ax, there is a local boy, Manny—a sweet soul of eighteen without a family of his own—who agrees to manage the fields in exchange for room and board. Their optimism and desire carry them through the early days. But the sudden, frightening birth of Thomas and Helen’s daughter, Elise, changes something deep inside their marriage. And then, in the aftermath of a tragic accident to which only Manny bears witness, suspicion, anger, and regret come to haunt this shattered family. It is a legacy Elise will inherit and struggle with, until she ultimately finds a hope of her own. In this extraordinary novel, Kim Barnes reminds us of what it means to be young and in love, to what lengths people will go to escape loneliness, and the redemption found in family. Read an excerpt from A Country Called Home, and learn more about the novel at the Knopf website. Kim Barnes' books include the novel Finding Caruso and two memoirs, In the Wilderness: Coming of Age in Unknown Country—a finalist for the 1997 Pulitzer Prize—and Hungry for the World. She teaches writing at the University of Idaho. The latest featured contributor to Writers Read: Andrew Gelman, author of Red State, Blue State, Rich State, Poor State: Why Americans Vote the Way They Do. Myth: The rich vote based on economics, the poor vote "God, guns, and gays." Myth: A political divide exists between working-class "red America" and rich "blue America." Fact: Within any state, more rich people vote Republican. The real divide is between higher-income voters in red and blue states. Myth: Rich people vote for the Democrats. Fact: George W. Bush won more than 60 percent of high-income voters. Myth: Religion is particularly divisive in American politics. Fact: Religious and secular voters differ no more in America than in France, Germany, Sweden, and many other European countries. Learn more about Andrew Gelman and his work at his website and his blog. Gelman is a professor in the Departments of Statistics and Political Science at Columbia University, director of the Applied Statistics Center, and also the founding director of the Quantitative Methods in the Social Sciences program. Now showing at My Book, The Movie: Small Crimes by Dave Zeltserman. The current feature at the Page 99 Test: Chelsea Cain's Sweetheart. Andrew Ellson, Personal Finance Editor at the Times (London), named a critic's chart of books on "cash crashes." Classic account of the 1929 stock market crash. A must read for any budding economist. Read about another title on Ellson's chart. The current feature at the Page 69 Test: The Dart League King by Keith Lee Morris. An intriguing tale of darts, drugs, and death. Russell Harmon is the self-proclaimed king of his small-town Idaho dart league, but all is not well in his kingdom. In the midst of the league championship match, the intertwining stories of those gathered at the 411 club reveal Russell’s dangerous debt to a local drug dealer, his teammate Tristan Mackey’s involvement in the disappearance of a college student, and a love triangle with a former classmate. The characters in Keith Lee Morris’s second novel struggle to find the balance between accepting and controlling their destinies, but their fates are threaded together more closely than they realize. 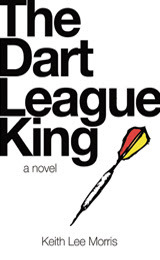 Read an excerpt from The Dart League King, and learn more about the book at the publisher's website. Keith Lee Morris is an associate professor of English and creative writing at Clemson University. His short stories have been published in A Public Space, Southern Review, Ninth Letter, StoryQuarterly, New England Review, The Sun, and the Georgia Review, among other publications. The University of Nevada published his first two books: The Greyhound Gods (2003) and The Best Seats in the House (2004). The Page 69 Test: The Dart League King. Pg. 99: John Ehrenfeld's "Sustainability by Design"
The current feature at the Page 99 Test: John R. Ehrenfeld's Sustainability by Design: A Subversive Strategy for Transforming Our Consumer Culture. The developed world, increasingly aware of “inconvenient truths” about global warming and sustainability, is turning its attention to possible remedies—eco-efficiency, sustainable development, and corporate social responsibility, among others. But such measures are mere Band-Aids, and they may actually do more harm than good, says John Ehrenfeld, a pioneer in the field of industrial ecology. In this deeply considered book, Ehrenfeld challenges conventional understandings of “solving” environmental problems and offers a radically new set of strategies to attain sustainability. The book is founded upon this new definition: sustainability is the possibility that humans and other life will flourish on Earth forever. There are obstacles to this hopeful vision, however, and overcoming them will require us to transform our behavior, both individually and collectively. Ehrenfeld identifies problematic cultural attributes—such as the unending consumption that characterizes modern life—and outlines practical steps toward developing sustainability as a mindset. By focusing on the “being” mode of human existence rather than on the unsustainable “having” mode we cling to now, he asserts, a sustainable world is within our reach. The Page 99 Test: Sustainability by Design. The current featured contributor to Writers Read: Manuel Muñoz, author of two collections of short stories: Zigzagger and The Faith Healer of Olive Avenue. Manuel Muñoz is a member of the faculty of the University of Arizona's creative writing program. The Faith Healer of Olive Avenue was shortlisted for the 2007 Frank O'Connor International Short Story Prize. Muñoz is the recipient of a 2006 National Endowment for the Arts literature fellowship and is currently a 2008 Fellow in Fiction with the New York Foundation for the Arts. His work has appeared in numerous publications, including the New York Times, Rush Hour, Swink, Epoch, Glimmer Train, Edinburgh Review, and Boston Review, and has aired on National Public Radio's Selected Shorts. A native of Dinuba, California, Manuel graduated from Harvard University and received his MFA in creative writing at Cornell University. The current feature at the Page 69 Test: Michael Largo's Genius and Heroin: The Illustrated Catalogue of Creativity, Obsession, and Reckless Abandon Through the Ages. Learn more about the book and author at Michael Largo's website. Michael Largo is the author of three novels, the Bram Stoker Award-winning Final Exits: The Illustrated Encyclopedia of How We Die, and last year's The Portable Obituary: How the Famous, Rich, and Powerful Really Died. The Page 69 Test: Genius and Heroin. The current feature at the Page 99 Test: Maria Wyke's Caesar: A Life in Western Culture. More than two millennia have passed since Brutus and his companions murdered Julius Caesar—and inaugurated his legend. Though the assassins succeeded in ending Caesar’s dictatorship, they could never have imagined that his power and influence would only grow after his death, reaching mythic proportions and establishing him as one of the central icons of Western culture, fascinating armchair historians and specialists alike. With Caesar, Maria Wyke takes up the question of just why Julius Caesar has become such an exalted figure when most of his fellow Romans have long been forgotten. Focusing on key events in Caesar’s life, she begins with accounts from ancient sources, then traces the ways in which his legend has been adapted and employed by everyone from Machiavelli to Madison Avenue, Shakespeare to George Bernard Shaw. Napoleon and Mussolini, for example, cited Caesar’s crossing of the Rubicon in defense of their own dictatorial aims, while John Wilkes Booth fancied himself a new Brutus, ridding America of an imperial scourge. Caesar’s personal life, too, has long been fair game—but the lessons we draw from it have changed: Suetonius derided Caesar for his lustfulness and his love of luxury, but these days he and his lover Cleopatra serve as the very embodiment of glamour, enticingly invoked everywhere from Caesars Palace in Las Vegas to the hit HBO series Rome. Caesar is the witty and perceptive work of a writer who is as comfortable with the implications of Xena: Warrior Princess as with the long shadow cast by the Annals of Tacitus. Wyke gives us a Caesar for our own time: complicated, hotly contested, and perpetually, fascinatingly renewed. Learn more about Wyke's research and publications at her faculty website. The Page 99 Test: Caesar: A Life in Western Culture. Tana French's first novel, In the Woods, won a Mystery Writers of America Edgar award earlier this year, and her second, The Likeness, has just been published. For the Guardian, she named a top ten list of "books that defy all the thriller's conventions - but remain thrilling." Old crimes cast long shadows; an attack on a child decades ago leads, by a dark winding road, to the murder of a young woman. This is another one that smashes huge holes in the walls that used to surround the genre. A lot of people used to look down on mystery; the assumption was that it was basically about cheap thrills and roller-coaster plots, with no character depth, no thematic depth, no high-quality writing and no thoughtful exploration of ideas – in other words, that there was a huge wall between mystery and 'real' writing. If anyone still believed in that barrier, I'd say Mystic River finally blew away the last remnants of it. It's a cracking good whodunit and a tight police procedural, but it's also a family saga, a social history, a coming-of-age story and a beautifully written book with vivid, unforgettable characters. Read about another title from French's list. The current feature at the Page 69 Test: Michelle Moran's The Heretic Queen. Read an excerpt from The Heretic Queen, and learn more about the book and author at Michelle Moran's website. Michelle Moran is the author of the national bestselling novel Nefertiti. The Page 69 Test: The Heretic Queen. The current feature at the Page 99 Test: Lilith Saintcrow's Night Shift. The current featured contributor to Writers Read: Margot Kahn, author of Horses That Buck: The Story of Champion Bronc Rider Bill Smith. This summer’s been a strange one. First, it didn’t start acting like summer until the middle of July, right when I had to start teaching creative writing workshops at Richard Hugo House, Seattle’s great literary center. While I wanted to be in a meadow somewhere on the edge of a snowfield, watching the wildflowers open, drifting in and out of the stack of books I’d picked up in May at Elliott Bay, I was instead inside, surrounded by high school hormones, revisiting my old favorite lines. It was bittersweet. Margot Kahn is the author of Horses That Buck: The Story of Champion Bronc Rider Bill Smith. Her work and book reviews have appeared in various print and online publications including Work Magazine, Pindeldyboz, Ohioana Quarterly, and Publishers Weekly. In 2005 she received the Ohioana Library Association’s Walter Rumsey Marvin Grant for a promising young writer. Read more about Margot Kahn's Horses That Buck at the publisher's website. In 2006, author Kit Whitfield named a top ten list of "genre-defying novels" for the Guardian. Read Whitfield's argument for genre-defying novels and Number One on her list. The current feature at the Page 69 Test: Steven Sidor's The Mirror’s Edge. Twin brothers, two years old, are snatched out of their Chicago home at noon on their birthday, never to be seen again. The kidnappers never make contact. The crime haunts the city, devastating those left behind. As the anniversary of the abduction approaches, freelance journalist Jase Deering begins to investigate a case gone cold for the police. What he finds is a paranoid former nanny who had the word “mirrorrorrim” carved into her flesh that fateful day and a trail that leads to a fabled figure, Aubrey Hart Morick. Morick, dead for many years, was an iconic practitioner of the black arts whose legacies are a scandalous reputation and a son named Graham. Increasingly convinced that Graham Morick is more than the simple, innocent man he claims to be, Jase Deering finds the line between natural and supernatural beginning to blur. His determined search for the truth may cost him, and everyone he holds dear, more than he can bear. Read an excerpt from The Mirror’s Edge, and learn more about the book and author at Steven Sidor's website. Steven Sidor is the author of the acclaimed novels Skin River and Bone Factory. The Page 69 Test: The Mirror’s Edge. George Pelecanos is the author of many crime novels set in and around Washington, D.C.: A Firing Offense, Nick's Trip, Shoedog, Down By the River Where the Dead Men Go, The Big Blowdown, King Suckerman, The Sweet Forever, Shame the Devil, Right as Rain, Hell to Pay, Soul Circus, Hard Revolution, Drama City, and The Night Gardener. His latest novel is The Turnaround. Pelecanos was also an Emmy nominee for HBO's The Wire. "The Godfather" by Mario Puzo. Except for the page that features Sonny and the bridesmaid. That page never disappoints. "True Grit" by Charles Portis. A great adult novel with a strong, teenage female protagonist. Read more about Pelecanos' most important crime novels. Listen to an excerpt from The Turnaround. Visit the official George Pelecanos website. The current feature at the Page 99 Test: Steven Stoll's The Great Delusion: A Mad Inventor, Death in the Tropics, and the Utopian Origins of Economic Growth. Endless economic growth rests on a belief in the limitless abundance of the natural world. But when did people begin to believe that societies should—even that they must—expand in wealth indefinitely? In The Great Delusion, the historian and storyteller Steven Stoll weaves past and present together through the life of a strange and brooding nineteenth-century German engineer and technological utopian named John Adolphus Etzler, who pursued universal wealth from the inexhaustible forces of nature: wind, water, and sunlight. The Great Delusion neatly demonstrates that Etzler’s fantasy has become our reality and that we continue to live by some of the same economic assumptions that he embraced. Like Etzler, we assume that the transfer of matter from environments into the economy is not bounded by any condition of those environments and that energy for powering our cars and iPods will always exist. Like Etzler, we think of growth as progress, a turn in the meaning of that word that dates to the moment when a soaring productive capacity fused with older ideas about human destiny. The result is economic growth as we know it, notas measured by the gross domestic product but as the expectation that our society depends on continued physical expansion in order to survive. The Great Delusion is Steven Stoll's fourth book. Steven Stoll is Associate Professor of History at Fordham University, where he teaches environmental history. 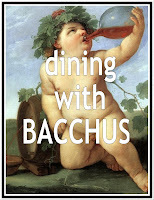 He has written for Harper’s, Lapham’s Quarterly, and the New Haven Review. Learn more about his research and publications at his faculty webapge. The Page 99 Test: The Great Delusion. The latest featured contributor to Writers Read: James L. Nelson, the award-winning author of the recently published George Washington's Secret Navy, Benedict Arnold’s Navy, and several novels that take place during the age of the sailing navies. He is the recipient of perhaps the highest praise a maritime writer can receive: Patrick O'Brian called him "A master of his period and of the English language." Learn more about James L. Nelson and his work at his website. Writers Read: James L. Nelson. Pg. 69: Matthew Quick's "The Silver Linings Playbook"
The current feature at the Page 69 Test: Matthew Quick's The Silver Linings Playbook. Read an excerpt from The Silver Linings Playbook, and learn more about the novel and author at Matthew Quick's website. Matthew Quick floated down the Peruvian Amazon and formed ‘The Bardbarians’ (a two-man literary circle), backpacked around Southern Africa, hiked to the bottom of a snowy Grand Canyon, soul-searched, and earned his Creative Writing M.F.A. through Goddard College. The Page 69 Test: The Silver Linings Playbook. Now showing at My Book, The Movie: Peter Behrens' The Law of Dreams. The current feature at the Page 99 Test: Michael Kimmel's Guyland: The Perilous World Where Boys Become Men. Why do so many guys seem stuck between adolescence and adulthood? Why do so many of them fail to launch? Just what is going on with America's young men? The passage from adolescence to adulthood was once clear, coherent, and relatively secure: in their late teenage years and early twenties, guys "put away childish things" and entered their futures as responsible adults. Today growing up has become more complex and confusing as young men drift casually through college and beyond—hanging out, partying, playing with tech toys, watching sports. But beneath the appearance of a simple extended boyhood, a more dangerous social world has developed, far away from the traditional signposts and cultural signals that once helped boys navigate their way to manhood. The average young American man today is moving through a new stage of development, a buddy culture unfazed by the demands of parents, girlfriends, jobs, kids, and other nuisances of adult life. Sociologist and gender studies authority Michael Kimmel has identified this territory as "Guyland," a place that is both a stage of life and a new social arena. Guyland is the locker room writ large: the world where young men both test and prove themselves as men and develop the defining attitudes and self-images they will carry into adulthood. Kimmel has interviewed hundreds of young men ages sixteen to twenty-six in high schools and college fraternity houses, military academies and sports bars, to better understand Guyland's rules and restrictions, its layers of peer pressure and gender policing, its features and artifacts—from the ordinary (video games, sports, and music) to the extreme (violent fraternity initiations, sexual predation). In mapping the social world where tomorrow's men are made, Kimmel offers a view into the minds and times of America's sons, brothers, and boyfriends, and works toward redefining what it means to be a man today—and tomorrow. Only by understanding this world and this life stage can we enable young men to chart their own paths, to stay true to themselves, and to travel safely through Guyland, emerging as responsible and fully formed men of integrity and honor. The Page 99 Test: Guyland. The current feature at the Page 69 Test: Andrew Pyper's The Killing Circle. From acclaimed, internationally bestselling author Andrew Pyper, a suspenseful page-turner that explores the repercussions of the most dishonest of thefts: stealing another’s story and calling it your own.When Patrick Rush, journalist, single father, and failed novelist, decides to join a creative writing circle, it seems a fertile time for the imagination. Throughout Toronto, a murderer is striking at random, leaving his victims’ bodies mutilated and dismembered, and taunting the police with cryptic notes. Influenced by the atmosphere of menace and fear, the group begins to read each other their own dark, unsettling tales. One, Angela, tells a mesmerizing story about a childstealer called the Sandman. Patrick, though, finds fantasy and reality becoming blurred. Is the maniac at large in fact the Sandman? What does Angela really know? And is he himself being stalked by the killer? It is only when his son is snatched that Patrick understands what he must do: embark on a horrifying journey into the unknown and track down the elusive figure known as the Sandman. Learn more about the author and The Killing Circle--and watch some video trailers--at Andrew Pyper's website. Andrew Pyper is the author of the novels Lost Girls (which was a New York Times and Globe and Mail Notable Book of the Year), The Wildfire Season, and The Trade Mission: A Novel of Psychological Terror, as well as Kiss Me, a collection of stories. The current featured contributor to Writers Read: J.B. Shank, an associate professor of history at the University of Minnesota and the author of The Newton Wars and the Beginning of the French Enlightenment. A panel picked the 50 greatest villains in literature for the (London) Telegraph . Described as "a blonde to make a bishop kick a hole in a stained glass window", Helen Grayle is the most memorable of Raymond Chandler's femmes fatales. She leaves a trail of bloody victims in her wake as she tries to hide her past as flame-haired nightclub singer Velma Valento. The current feature at the Page 99 Test: Ann Cleeves' White Nights. A stunning second installment in the acclaimed Shetland Island Quartet, White Nights is sure to garner American raves for international sensation Ann Cleeves. The current feature at the Page 69 Test: Mike Resnick's Stalking the Vampire. On this night when ghosts and goblins are out celebrating, detective Mallory must stalk the vampire who has threatened his assistant, Winnifred Carruthers, and killed her nephew. With the aid of Felina, the catgirl, Mallory and Carruthers investigate clubs and lairs that only seem to exist on this one night of the year. His hunt takes him to Creepy Conrad's Cut-Rate All-Night Mortuary, where he questions the living and the dead; to the Annual Zombies' Ball, to learn more about the undead; to the Hills of Home Cemetery, where the vampire sleeps by day; and to Battery Park, where all of Manhattan's bats come to feed and sleep. Along the way he meets a few old friends and enemies, and a host of strange new inhabitants of this otherworldly Manhattan. Locked in an intriguing battle of wits with the millennia-old vampire, Mallory has until dawn if he is to save his trusted partner. Stalking the Vampire is an urban fantasy, a sequel to Stalking the Unicorn, which was reprinted at the same time (August, 2008) by Pyr Books. Learn more about the author and his work at Mike Resnick's website. Mike Resnick has won five Hugos and been nominated for twenty-six more. The Page 69 Test: Stalking the Vampire. David Lodge is the author of Changing Places, Nice Work, and other novels, including the newly released Deaf Sentence. He named a five best list of books on the subject of social class for the Wall Street Journal. Evelyn Waugh maintained that England didn't have social classes but instead an order of precedence, which extended in a minutely discriminated sequence from the humblest laborer to the monarch. Whatever the truth of that observation, the social classes in France have been historically divided between aristocracy, bourgeoisie and proletariat, with clearly defined subgroups and pecking orders within each category. Irène Némirovsky's unfinished "Suite Française" gives a riveting and unflattering picture of the French class system put under pressure by Nazi Germany's invasion and occupation of France in 1940. Némirovsky had planned to write a sequence of five novellas but completed just the first two before she was tragically swept away on the black tide of the Holocaust. The first, "Storm in June," describing the panic-stricken flight of Parisians from the capital -- loading their best linen and china into automobiles, ruthlessly competing for food, petrol and accommodation -- is a horribly convincing spectacle of human selfishness and folly. The second entry, "Dolce," is equally telling as it portrays a rural community where various subgroups are more obsessed with preserving their ancient privileges than with the outcome of the war. Read about Number One on Lodge's list. The current featured contributor to Writers Read: Ronald Wallace, Felix Pollak Professor of Poetry and Halls-Bascom Professor of English at the University of Wisconsin-Madison and author of the newly released collection of poems, For a Limited Time Only. Read a selection of Wallace's poems and learn more about his work at his website. The current feature at the Page 99 Test: Jonathan B. Imber's Trusting Doctors: The Decline of Moral Authority in American Medicine. For more than a century, the American medical profession insisted that doctors be rigorously trained in medical science and dedicated to professional ethics. Patients revered their doctors as representatives of a sacred vocation. Do we still trust doctors with the same conviction? In Trusting Doctors, Jonathan Imber attributes the development of patients' faith in doctors to the inspiration and influence of Protestant and Catholic clergymen during the nineteenth and early twentieth centuries. He explains that as the influence of clergymen waned, and as reliance on medical technology increased, patients' trust in doctors steadily declined. Trusting Doctors discusses the emphasis that Protestant clergymen placed on the physician's vocation; the focus that Catholic moralists put on specific dilemmas faced in daily medical practice; and the loss of unchallenged authority experienced by doctors after World War II, when practitioners became valued for their technical competence rather than their personal integrity. Imber shows how the clergy gradually lost their impact in defining the physician's moral character, and how vocal critics of medicine contributed to a decline in patient confidence. The author argues that as modern medicine becomes defined by specialization, rapid medical advance, profit-driven industry, and ever more anxious patients, the future for a renewed trust in doctors will be confronted by even greater challenges. Trusting Doctors provides valuable insights into the religious underpinnings of the doctor-patient relationship and raises critical questions about the ultimate place of the medical profession in American life and culture. "Jonathan Imber's Trusting Doctors is an important, interesting, and readable book. We all know that our modern doctors do not have the social aura they once did. Imber effectively tells us the eye-opening story of why that change has happened." "Doctors and people who have no choice but to trust doctors--which means all of us--need to read this book. With both sympathy and uncompromising honesty, Jonathan Imber traces the frequently troubled history of a medical profession that needs to attend to its increasingly fragile moral authority." "Trusting Doctors is a major book, a benchmark on medical morality and trust, and an exemplar of religion's impact on medicine." "This important book challenges many ideas that have long been taken for granted in medical sociology and the history of medicine: ideas about the work of bioethics and epidemiology, as well as the relation between religion and medicine." Jonathan B. Imber is the Class of 1949 Professor in Ethics and professor of sociology at Wellesley College. He is also the author of Abortion and the Private Practice of Medicine. The Page 99 Test: Trusting Doctors. The current feature at the Page 69 Test: T. Lynn Ocean's Southern Poison. The last time Jersey Barnes tried to quit her career as a security specialist and leave home without a weapon, she ended up in the middle of a high-stakes cover-up and a scheme to steal millions from hardworking Americans. This time her early retirement is for real. Friends threw her a party to prove it. There was a cake and everything. But out of the blue, her former handler shows up with other ideas. When Jersey tells him she doesn’t want an assignment---even if does come with an upfront hazard-pay bonus---he reminds her of a clause in the contract she signed back when she was first recruited to work for the government: a pesky paragraph that says she can be recalled into service at any time. With boating and golfing plans on hold yet again, Jersey straps on her weapon of choice and goes undercover to help root out a terrorist threat---only to learn that another more sinister plot is in the works. And things aren’t any more relaxing at home, either. Just as she starts to explore a steamy relationship with her hunky pub manager, Ox, his ex-wife flies in from California to reclaim him. Southern Poison moves at breakneck speed as Jersey must save herself from an assassin, stop an evil chemist, keep her troublemaking father and his poker buddies out of jail, untangle a steamy romance, and maybe---just maybe---retire. On the heels of the lauded Southern Fatality, readers will welcome another hilarious, suspenseful, and sun-soaked adventure from the unforgettable Jersey Barnes. Read an excerpt from Southern Poison, and learn more about the author and her work at T. Lynn Ocean's website. 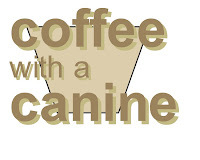 A freelance writer for more than ten years, T. Lynn Ocean has published in magazines nationwide. 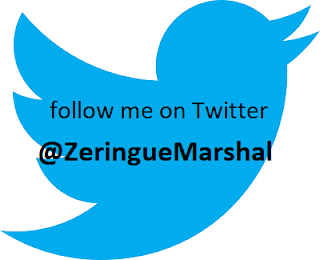 She is the author of the novels Fool Me Once, Sweet Home Carolina, and Southern Fatality. At the London Times, Sarah Ebner named her top 25 boarding school books. This is a very different book to many of the others on the list, and the school is not its main focus, Mr Rochester takes care of that. But whatever the other many attractions of this book, Jane's time at Lowood Academy will stay in a reader's mind for a long, long time. These modern books have put boarding schools finally back on the map - albeit by inventing one which is full of mortal danger, magic and adventure. The films may be good, but the books are so much better. Read about two American novels that made Ebner's list. Now showing at My Book, The Movie: Stephanie Hale's Revenge of the Homecoming Queen. My Book, The Movie: Revenge of the Homecoming Queen. Karen's easy life as a receptionist and armed robber is about to change. Rossi, her ex, is getting out of prison any day now. He'll be looking for his motorcycle, his gun, revenge, and the sixty grand he says is his. But he won't be expecting Ray, the new guy Karen's just met, to be in his way. No stranger to the underworld himself, Ray wants out of the kidnapping game now that some dangerous new bosses are moving in. Meanwhile Frank, a disgraced plastic surgeon, hires Ray to kidnap his ex-wife for the insurance money. But the ex-wife also happens to be Karen's best friend. Can Karen and Ray trust each other enough to work together on one last job? Or will love, as always, ruin everything? From a writer hailed as "Elmore Leonard with a hard Irish edge" (Irish Mail on Sunday), Declan Burke's The Big O is crime fiction at its darkest and funniest.